Professional with more than 10 years of international experience in strategy consulting and entrepreneurship in Latin America, developing and growing businesses in Mexico, Colombia, Panama, Costa Rica, Puerto Rico, Nicaragua, Chile, España y Venezuela. 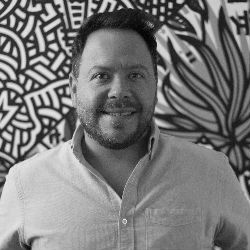 As entrepreneur, founded two startups in e-commerce and education, most recently in charge of Business Development, Platform Growth, Investor Relations, and Marketing Strategy at Disenia.mx based in Mexico City. Previous experience as a consultant involved developing Continuous Improvement projects working directly with regional and local Strategic Planning departments in establishing short and medium term strategic goals. Including investment analysis, M&A, due diligence and project overhauls in more than 6 countries. Passionate about Business Development, Growth, transforming ideas into money-making businesses, Business strategies and corporate innovation. Professional interests include getting involved with tech companies within the Latin American ecosystem, Venture Capital, Startup Acceleration, Education, Music and Live Events, Experiences, Travel.